The following are the terms and conditions of the "WSOP 2018: Road to Vegas" promotion (the "Promotion") for www.888poker.com (the “Site”). If you play or register with the Site in the UK, the Promotion is organized by 888 UK Limited, otherwise, the Promotion is organized by the company defined in the User Agreement applicable to you (see below) (“us” or “we” or “our” or “company”). Your participation in this Promotion shall be deemed to constitute your complete acceptance of the provisions below. The Promotion shall commence on 30/05/2018 and shall conclude on 13/06/2018 at 18:00 GMT (the “Promotion Period”). However, we may conclude the Promotion before the end of the Promotion Period including without limitation, where required for security reasons, to comply with applicable law or regulation, due to abuse or otherwise where the promotion is not capable of being conducted as specified as a result of exceptional circumstances. No-one under the age of 18 or the age of legal consent for engaging in the gambling services made available through the Site and the 888poker client under the laws of any jurisdiction, whichever is higher, may participate in this Promotion. You may be asked at any stage to provide us with a proof of age and/or identity. For security and verification purposes, we reserve the right to limit participation in this Promotion to one person per each: (i) household; (ii) computer terminal; or (iii) mobile device; (iv) email address; (v) payment details. We may alter these terms and conditions, including without limitation where required for security reasons, to comply with applicable law or regulation, due to abuse or otherwise if the Promotion is not capable of being conducted as specified as a result of exceptional circumstances beyond our control. You hereby agree to these terms and conditions which govern the Promotion, along with the User Agreement"which includes but is not limited to the "Bonus Policy". For further information on how you can withdraw funds from your account, please see our "Withdrawal Policy". The Company reserves the right to void your eligibility to receive bonuses, prizes and rewards offered under this Promotion in case of anticipated, suspected or actual fraudulent activities at the Site. You will be notified via email upon Company's decision to void your eligibility as aforementioned. Please note that following said notification, Company may decide not to block your account with the Site, including your continued access to the Promotion activities. Nevertheless, and regardless of your continued participation in the Promotion activities following Company's decision as aforementioned, your eligibility to receive the bonuses, prizes or rewards offered under this Promotion will remain void. New members who have not previously registered with the Site or any other website operated or controlled by Company or any of its Affiliates, who open an account with the Site during the Promotion Period, will receive a free ticket to the ‘All-In to Vegas – WSOP Package GTD’ tournament ("Tournament Ticket(s)"). All Tournament Tickets granted under the Promotion will be credited to the eligible player’s account within 72 hours of the necessary requirements being fulfilled and will be valid until 13/06/2018 at 20:00 GMT. 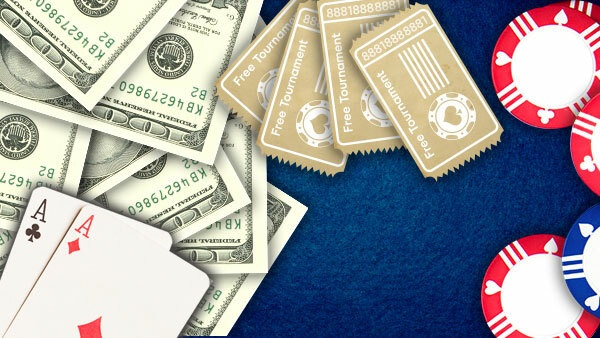 Players that have already registered with the Site but have yet to make a real money deposit into their account with the Site, will receive the following if they make their first deposit of 10 or more with promo code: VEGAS10 during the Promotion Period: (i) ‘All-In to Vegas – WSOP Package GTD’ tournament ("Tournament Ticket(s)"); and (ii) one month’s free PokerGO subscription powered by Poker Central ("Subscription"). The Subscription is provided to you directly by Poker Central and Company assume no responsibility or liability of any type with respect to such Subscription and any services contemplated thereunder. You agree that you will not hold Company or any of its Affiliates responsible or liable with respect to the provision of the Subscription, and you further agree that any claim or dispute you may arising from, related to or in connection with the provision of the Subscription, will be dealt directly with Poker Central If you experience any technical issues with accessing or using the Subscription, please contact: Support@pokergo.com. You use or access of the Subscription is subject to the terms and conditions set forth herein. Eligible players who have made the qualifying deposit in accordance with the requirements above, will receive a unique entrance code within 48 hours via email to enable them to enter in to the PokerGO site and activate their Subscription. This offer only applies to the eligible player’s first deposit with the Site’s cashier. During the Promotion Period, Eligible Players who have received Tournament Ticket(s) in accordance with the terms above, will be entitled to participate in one or more ‘All-In to Vegas – WSOP Package GTD‘ tournament(s), running twice daily at $$time$$ and $$time2$$ GMT until 13/06/2018 . Eligible Players with Tournament Tickets must register via 888client lobby in order to actually participate in the All-In to Vegas – WSOP Package GTD tournament, after which they will go all-in automatically, once the tournament starts. Tournament times are detailed in the Promotion’s page on the Site. Every All-In to Vegas – WSOP Package GTD tournament grants the first place ranked Eligible Player in that tournament with either WSOP 2018 ME Package (US$12,600 worth valued) or WSOP 2018 Crazy Eights Event Package (US$2,700 worth valued). The overall odds of winning a $12,600 WSOP Main Event Package differ from the overall odds of winning a $2,700 WSOP Crazy Eights Event Package. The specific package to be won in any given All-In to Vegas – WSOP Package GTD tournament will be determined in random by Company at its sole discretion, and be revealed on the table once tournament starts. In the rare case that an Eligible Player wins 2 identical packages via the All-In to Vegas – WSOP Package GTD tournament (either 2 x $12,600 WSOP Main Event packages or 2 x $2,700 WSOP Crazy Eights Event packages), the Eligible Player will be granted only one package and additionally, the monetary value of the buy-in to the applicable event to which they have won the package. In the rare case that an Eligible Player wins both the $12,600 WSOP Main Event package and the $2,700 WSOP Crazy Eights Event package via the All-In to Vegas – WSOP Package GTD tournament, the Eligible Player will be granted the first package s/he won and additionally, the monetary value of the buy-in to the event of the second package s/he won. The tournament information will remain visible in the 888poker software, mobile app and web app for 4 hours after it has ended. Package winners will be contacted by our team within 72 hours with further details. A Tournament Ticket can’t be used by an Eligible Player to re-buy chips or to add chips to his/her stack during a tournament. Tournament Tickets may not be: (i) exchanged or converted into cash; (ii) joined together to create a higher value ticket; or (iii) transferred by an Eligible Player to another Eligible Player. Each Tournament Ticket granted under this Promotion will expire on the earlier of: (i) termination or expiration of this Promotion or (ii) the expiry date of a Tournament Ticket. Once a Tournament Ticket has expired or the Promotion has ended An Eligible Player shall immediately forfeit such Tournament Ticket. In the event that a Tournament Ticket is granted by us for any tournament which is cancelled prior to it starting, unless otherwise stated in this Promotion, such Tournament Ticket will not expire or terminate but may be used by an Eligible Player in another tournament of our choosing. Eligible Player who wins a WSOP Las Vegas 2018 Main Event Package pursuant to the terms above(the “ME Winner”) will win a prize package valued at US$12,600 to the WSOP Las Vegas 2018 Main Event which consists of: (i) Buy-in entry to the WSOP Las Vegas 2018 Main Event valued at $10,000 (paid by the Company directly to the tournament organizer); (ii) 5 nights (3rd -8th July 2018) at the Vdara Hotel Las Vegas (paid for by the Company directly to the hotel); (ii) US$1,050 for travel and expenses (paid by the Company directly to the Winner’s poker account); (iii) an invitation to the 888poker welcome session; (iv) daily transportation from the Vdara Hotel to the Rio Hotel and Casino to play at the WSOP Las Vegas 2018 Main Event; and (v) an 888live poker kit ((i)- (v) collectively the “ME Prize Package”). The ME Winner cannot redeem the ME Prize Package for cash or transfer the ME Prize Package in any way. On the occasion that the ME Winner is unable to attend the WSOP Las Vegas 2018 Main Event (for any reason), the monetary value of the ME Prize Package will not be paid to the ME Winner nor will the ME Prize Package be provided. The ME Winner will be registered to play in the WSOP Las Vegas 2018 Main Event on day 1C ONLY, without exceptions. The Company will make hotel reservations for the ME Winner at the Vdara Hotel. The accommodation is booked from the 3rd of July 2018 to the 8th of July 2018. The dates are not subject to adjustment. For the avoidance of doubt, please note that it is not possible to grant the ME Winner a refund or rebate in the event that the ME Winner leaves the hotel prior to 8th of July 2018. The Company will not be responsible for extending the ME Winner’s stay at the Vdara hotel beyond 8th of July 2018. If the ME Winner is still playing in the WSOP Las Vegas 2018 Main Event after 8th July 2018, the ME Winner will be solely responsible for arranging his/her own accommodation, following such date. The Company will provide the ME Winner with up to USD $200 per day for each day that the ME Winner is still playing at the Main Event following 8th July 2018 (the “Additional Accommodation Expenses”). The Additional Expenses will be paid to ME Winner's account with the Site within 30 days of the WSOP Las Vegas 2018 Main Event ending, at the discretion of the management and after receiving the hotel booking receipt. Also, in the event that the ME Winner continues to play in the WSOP Las Vegas 2018 Main Event beyond the 8th July 2018, the Company will provide ME Winner with a one-off compensation of up to USD $500 for changing flight ticket (the “Additional Flight Expenses”). The Additional Flight Expenses will be paid to ME Winner's account with the Site within 30 days of the event ending at the management discretion and after receiving a relevant receipt. The Company will not be responsible for arranging transportation from the ME Winner's home to the airport and from the airport to the Vdara Hotel Las Vegas, nor any related parking expenses. In the event that the ME Winner becomes the WSOP Las Vegas 2018 Main Event champion, ME Winner will be obligated to play in up to three (3) 888live events upon the request of 888poker during 2018-2019. Travel and accommodation costs will be at the expense of 888poker. By participating in this 2018 Main Event Package Promotion, you herby agree to act as an ambassador for the Site at the WSOP Las Vegas 2018 Main Event, which includes wearing exclusively throughout the duration the WSOP Las Vegas 2018 Main Event including the final table the branded clothing/ patch provided by the Company. Caesars Interactive Entertainment Inc. (“CIE”) and the Company will not be responsible for any tax liability associated with the ME Prize Package. By participating in the 2018 Main Event Package Promotion and winning the ME Prize Package, the ME Winner grants the Company, its affiliates as well as their marketing affiliates, a world-wide, sub-licensable, perpetual, royalty free, irrevocable right to use his/her name, image, voice and likeness for promotional and publicity promotional and marketing purposes (whether online or offline) for the Site without any compensation and the ME Winner expressly waives any claims against the Company and all companies within the 888 group of companies in this regard. Company does not endorse any deals whatsoever in any of its tournament qualifiers and as a result will not be held responsible or liable for settling any private deals made between members. By participating in this 2018 Main Event Package Promotion, each entrant unreservedly agrees to these terms and conditions. All Site fraud and collusion rules apply. 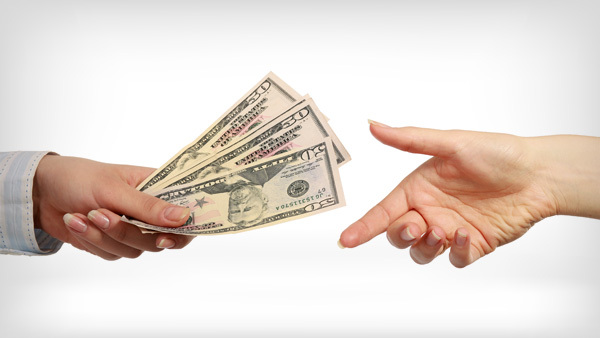 Any fraudulent activity will result in the ME Winner losing their ME Prize Package (and his/her friends not being able to receive any part of the ME Prize Package) and the Company reserves the right to take additional action against such an ME Winner, which may include but not be limited to termination of the ME Winner's account, as well as disqualification from this 2018 Main Event Package Promotion. THE ME WINNER MUST BE IN POSSESSION OF A VALID PASSPORT FOR AT LEAST SIX MONTHS BEYOND THE CONCLUSION OF THE WSOP LAS VEGAS 2018 MAIN EVENT AND THE ME WINNER IS SOLELY RESPONSIBLE FOR OBTAINING ANY VISA (IF REQUIRED) AND/OR ESTA (IF REQUIED) TO TRAVEL TO LAS VEGAS. THE COMPANY ASSUMES NO RESPONSIBILITY FOR THE WINNER BEING UNABLE TO TRAVEL DUE TO LACK OF APPROPRIATE TRAVEL DOCUMENTATION AND THE MONETARY VALUE OF THE ME PRIZE PACKAGE WILL NOT BE REIMBURSED. The ME Winner will be solely responsible for arranging his/her travel arrangements to and from the WSOP Las Vegas 2018 Main Event and shall be responsible for taking out his/her own travel insurance which includes but is not limited to medical insurance and lost luggage insurance. The Company is not responsible for changing flights, accommodation and anything else relating to the itinerary after the ME Winner has chosen his/her travel arrangements. The Company has purchased the room in the Vdara Hotel Las Vegas and the right to attend the WSOP Las Vegas 2018 Main Event and play in the Main Event from third party vendors and therefore is not responsible for its quality and the ME Winner expressly waives any claims against the Company in this regard. By participating in this Promotion and winning a ME Prize Package hereunder, each ME Winner grants the Company and any third party vendors providing any services in relation to the ME Prize Package, the right to provide his/her personal details to the third party vendor in order to have the relevant items comprising the ME Prize Package delivered to such ME Winner. If ME Winner’s account with the Site has been closed or self-excluded at any time up until the WSOP Las Vegas 2018 Main Event takes place, he/she will not be eligible for receiving the ME Prize Package and the monetary value of the ME Prize Package will not be reimbursed. By participating in this 2018 Main Event Package Promotion and winning a ME Prize Package hereunder, each ME Winner agrees to release, discharge and hold harmless the Company, its legal representatives, affiliates, subsidiaries, agencies and their respective officers, directors, employees and agents, from any damages whatsoever arising out of this 2018 Main Event Package Promotion or the awarding or use of the ME Prize Package. The ME Winner may be required to complete and sign an insurance waiver with any third party vendor providing services in relation to the ME Prize Package or the Company prior to being allowed to take up the ME Prize Package. The ME Winner may also be required by the Company or by any third party vendor providing services in relation to the ME Prize Package to sign further documents before delivery of the ME Prize Package. The Company reserves the right to cancel or withdraw the ME Prize Package from the ME Winner, without monetary compensation, if the ME Winner is under any investigation or his/her account with the Site is closed/blocked. Eligible Player who wins a WSOP Las Vegas 2018 Crazy Eights Event Package pursuant to the terms above (the “Crazy 8 Winner”) will win a prize package valued at US $2,700 to the WSOP Las Vegas 2018 Crazy Eights Event which consists of: (i) buy-in entry to the WSOP Las Vegas 2018 Crazy Eights Event valued at US$888 (paid by the Company directly to the tournament organizer); (ii) 3 nights (June 30th - July 3rd 2018) at the Rio Hotel & Casino Las Vegas (paid for by the Company directly to the hotel); (ii) US$1,050 for travel and expenses (paid by the Company directly to the Crazy 8 Winner’s poker account); (iii) an invitation to 888poker welcome session; (iv) an 888live poker kit, collectively the “Crazy 8 Prize Package”). The Crazy 8 Winner cannot redeem the Crazy 8 Prize Package for cash or transfer the Crazy 8 Prize Package in any way. On the occasion that the Crazy 8 Winner is unable to attend the WSOP Las Vegas 2018 Crazy Eights Event (in any reason), the monetary value of the Crazy 8 Prize Package will not be paid to Crazy 8 Winner nor will the Crazy 8 Prize Package be provided to him/her. The Crazy 8 Winner will be registered to play in the WSOP Las Vegas 2018 Crazy Eights Event at day 1C/1D ONLY, without exceptions. The Company will make hotel reservations for the Crazy 8 Winner at Rio Hotel. The accommodation is booked from June 30th 2018 to the 3rd of July 2018. The dates are not subject to adjustment. For the avoidance of doubt, please note, that it is not possible to grant the Crazy 8 Winner a refund or rebate in the event that the Crazy 8 Winner leaves the hotel prior to 3rd July 2018. The Company will not be responsible for arranging transportation from Crazy 8 Winner home to the airport and from the airport to the Rio Hotel Las Vegas, nor any related parking expenses. By participating in this 2018 Crazy Eights Event Promotion, Crazy 8 Winner herby agree to act as an ambassadors for the Site at the WSOP Las Vegas 2018 Crazy Eights Event, which includes wearing exclusively throughout the duration WSOP Las Vegas 2018 Crazy Eights Event including the final table the branded clothing/ patch provided by the Company. Caesars Interactive Entertainment Inc. (“CIE”) and the Company will not be responsible for any tax liability associated with the Crazy 8 Prize Package. The Crazy 8 Winner is solely responsible for recording, paying and accounting to any relevant governmental, taxation or other authority for any tax or other levy that may be payable in relation to the Crazy 8 Prize Package. Entrants must be at least 21 years of age to play in the WSOP Las Vegas 2018 Crazy Eights Event. All entrants to the event will be required to produce proof of age (passport or other valid picture ID). Entrants who are not able to present such proof will be excluded from participation in the event with no compensation. By participating in the 2018 Crazy Eights Event Promotion and winning the Crazy 8 Prize Package, the Crazy 8 Winner grants the Company, its affiliates as well as their marketing affiliates, a world-wide, sub-licensable, perpetual, royalty free, irrevocable right to use his/her name, image, voice and likeness for promotional and publicity promotional and marketing purposes (whether online or offline) for the Site without any compensation and the Crazy 8 Winner expressly waives any claims against the Company and all companies within the 888 group of companies in this regard. Company does not endorse any deals whatsoever in any of our tournament qualifiers and as a result will not be held responsible or liable for settling any private deals made between members. During the WSOP Las Vegas 2018 Crazy Eights Event, strict rules regarding player behavior will be enforced by the tournament organizers which may include disqualification. If you are penalized or disqualified at the WSOP Las Vegas 2018 Crazy Eights Event as a result of an infraction of the rules set forth by the tournament organizers, the Company assumes no responsibility or liability for your entry into the event and no refund will be provided. All Site fraud and collusion rules apply. Any fraudulent activity will result in the Crazy 8 Winner losing its Crazy 8 Prize Package (and his/her friends not being able to receive any part of the Prize Package) and the Company reserves the right to take additional action against such Crazy 8 Winner, which may include but not be limited to termination of the Crazy 8 Winner's account with the Site, as well as disqualification from this 2018 Crazy Eights Event Promotion. THE CRAZY 8 WINNER MUST BE IN POSSESSION OF A VALID PASSPORT FOR AT LEAST SIX MONTHS BEYOND THE CONCLUSION OF THE WSOP LAS VEGAS 2018 CRAZY EIGHTS EVENT AND THE CRAZY 8 WINNER IS SOLELY RESPONSIBLE FOR OBTAINING ANY VISA (IF REQUIRED) AND/OR ESTA (IF REQUIED) TO TRAVEL TO LAS VEGAS. THE COMPANY ASSUMES NO RESPONSIBILITY FOR THE CRAZY 8 WINNER BEING UNABLE TO TRAVEL DUE TO LACK OF APPROPRIATE TRAVEL DOCUMENTATION AND THE MONETARY VALUE OF THE CRAZY 8 PRIZE PACKAGE WILL NOT BE REIMBURSED. The Crazy 8 Winner will be solely responsible for arranging his/her travel arrangements to and from the WSOP Las Vegas 2018 Crazy Eights and shall be responsible for taking out his/her own travel insurance which includes but is not limited to medical insurance and lost luggage insurance. The Company is not responsible for changing flights, accommodation and anything else relating to the itinerary after the Crazy 8 Winner has chosen his/her travel arrangements. The Company has purchased the room in the Rio Hotel Las Vegas and the right to attend the WSOP Las Vegas 2018 Crazy Eights and play in the Crazy Eights from third party vendors and therefore is not responsible for its quality and the Crazy 8 Winner expressly waives any claims against the Company in this regard. By participating in this 2018 Crazy Eights Event Promotion and winning a Crazy 8 Prize Package hereunder, each Crazy 8 Winner grants the Company and any third party vendors providing any services in relation to the Crazy 8 Prize Package, the right to provide his/her personal details to the third party vendor in order to have the applicable items comprising the Crazy 8 Prize Package delivered to such Crazy 8 Winner. If Crazy 8 Winner's account with the Site has been closed or self-excluded at any time up until the WSOP Las Vegas 2018 Crazy Eights Event takes place, he/she will not be eligible for receiving the Crazy 8 Prize Package and the monetary value of the Crazy 8 Prize Package will not be reimbursed. By participating in this 2018 Crazy Eights Event Promotion and winning a Crazy 8 Prize Package hereunder, each Crazy 8 Winner agrees to release, discharge and hold harmless the Company, its legal representatives, affiliates, subsidiaries, agencies and their respective officers, directors, employees and agents, from any damages whatsoever arising out of this 2018 Crazy Eights Event Promotion or the awarding or use of the Crazy 8 Prize Package. The Crazy 8 Winner may be required to complete and sign an insurance waiver with any the third party vendor providing services in relation to the Crazy 8 Prize Package or the Company prior to being allowed to take up the Crazy 8 Prize Package. The Crazy 8 Winner may also be required by the Company or by any third party vendor providing services in relation to the Crazy 8 Prize Package to sign further documents before delivery of the Crazy 8 Prize Package. The Company reserves the right to cancel or withdraw the Crazy 8 Prize Package from the Crazy 8 Winner, without monetary compensation, if the Crazy 8 Winner is under any investigation or his/her account with the Site is closed/blocked. Eligible Player who: (i) wins either a WSOP Las Vegas 2018 Main Event Package or WSOP Las Vegas 2018 Crazy Eights Event Package, (ii) is located in one of the following jurisdictions: United Kingdom, Canada, Germany, Sweden, Spain or Brazil (each "Eligible Jurisdiction"), and (iii) has opted to participate in this 8 Team Promotion by filling and submitting the registration form (which registration form will be emailed to players either on 14\6\18 or 17\6\2018) by no later than 18\6\2018 at 16:00 GMT, will be also eligible to participate in the "8 Team Promotion", according to the terms and conditions below. Eligible Player(s) who is\ are qualified to participate in this 8 Team Promotion pursuant to the forgoing, shall be referred to as "Qualified Player(s)". The 8 Team Promotion shall commence on 5/4/2018 and shall conclude on 18/6/2018 (the “8 Team Promotion Period”). However, we may conclude the 8 Team Promotion before the end of the 8 Team Promotion Period including without limitation, where required for security reasons, to comply with applicable law or regulation, due to abuse or otherwise where the promotion is not capable of being conducted as specified as a result of exceptional circumstances. Under the terms of this 8 Team Promotion, a dedicated team per each Eligible Jurisdiction will be formed and comprised of three members, as follows: Team Captain, Local Wingman and one Qualified Player from the respective Eligible Jurisdiction chosen as explained below (collectively the "Team"). Here is how the Qualified Players per each Eligible Jurisdiction will be chosen to join the Team: each Qualified Player will directly receive an email from the Site to which these terms and conditions are linked to, with a click through to a landing page via which s\he can opt in and register for this 8 Team Promotion. As part of the registration process, Qualified Player will be asked to explain why s\he are a good fit to join the Team. Based on the response, the Team Captain will choose the one Qualified Player who to his\her opinion best able to demonstrate competency and maturity to play in his/her team. Registration will be accessible until June 18th 2018 at 16:00 GMT. The Qualified Player chosen for each Team will be informed by email by June 22nd 2018, and be required to respond and acknowledge his\ her participation within 72 hours after the email is sent. If such chosen Qualified Player fails to respond as required, then the Team Captain be entitled after two failed attempts to reach and contact him\her by phone, to choose another Qualified Player from such Eligible Jurisdiction who s\he believes to best meet the selection criteria as explained above. The Qualified Player will be required to arrive to Las Vegas on July 2nd, 2018 in order to participate in marketing and publicity activities for the Site (the “Promotion Activities”). Qualified Players who have won WSOP 2018 Main Event prize package prior to publishing these promotional terms, who have already made their travel and accommodation arrangements, and are required to change their prior flights and hotel accommodation arrangements as a result of the forgoing requirement to arrive on July 2nd, will be reimbursed for the costs and expenses incurred as a result thereof provided that any such costs and expenses were approved in advance and in writing by Company. Such costs and expenses (if approved in accordance with the forgoing) will be paid by transfer of funds into Chosen Qualified Player real money balance with the Site. By participating in this 8 Team Promotion, each Qualified Player grants us and our affiliates, an exclusive, perpetual, irrevocable worldwide, fully paid up, royalty free right and license to use his/her name, answers and likeness and to reproduce, distribute, publicly display, publicly perform, and make derivative works based upon, photographs and/or video recordings of such Qualified Player taken or recorded by us and/or its permitted designees during or in connection with the Promotional Activities in any and all online and offline media whether known or developed in the future including but not limited to television, radio, websites, webcasts and social media (which includes but is not limited to Twitter and Facebook). In addition, the Qualified Player expressly waives any claims against us and our affiliates, in this regard. Each chosen Qualified Player will be required to sign Company's Release and Wavier Form prior to attending the Promotional Activities as a condition to participate and be entitled to the benefits granted under this 8 Team Promotion. The Team that will reach the highest position at the WSOP 2018 Main Event, (event #65) that will be held during July 2-14 2018, which position shall be determined based on the points system described in the table below, will win a $12,500 WSOP 2019 Main Event Package for each of the team members. Each member (including the Qualified Player) of the winning Team (for the purposes hereof, shall also be referred to as "8 Team Winner") shall receive a prize package which consists of: (i) playing in the WSOP 2019 Main Event in Las Vegas (the “WSOP 2019”); (ii) 5 nights at a five star hotel in Las Vegas of the Company’s choice; (iii) US$1,200 for travel and expenses (paid by the Company directly to the Winner’s poker account) ("Travel and Expenses Amount"); (iv) an invitation to the 888poker welcome session; (v) daily transportation from the hotel to the Rio Hotel and Casino (where the WSOP 2019 will take place) to play at the WSOP 2019; and (vi) an 888poker live kit ((i)- (vi) collectively the “8 Team Prize Package”). For clarity, all entry fees and buy-ins to the WSOP 2019 (including side event tournament held by the Company at the WSOP 2019) will be paid by the Company directly to the tournament organizer and all accommodation expenses will be paid directly to the hotel. The 8 Team Winner will be solely responsible for arranging his/her travel arrangements to and from Las Vegas which includes but is not limited to flights and travel to and from the airports. Any cost of travel and expenses that exceeds the Travel and Expenses Amount, will be borne solely by the 8 Team Winner. If the 8 Team Winner is still playing in the WSOP 2019 after 5 nights: the 8 Team Winner will be solely responsible for arranging his/her own accommodation, following such date. The Company will provide the 8 Team Winner with up to USD $200 per day for each day that the 8 Team Winner is still playing at the WSOP 2019 following the 5th night (the “Additional Accommodation Expenses”). The Additional Accommodation Expenses will be paid to 8 Team Winner account with the Site within 30 days of the WSOP 2019 ending, after receiving the hotel booking receipt. In addition, in the event that the 8 Team Winner continues to play in the WSOP 2019 beyond the 5 night’s period, the Company will provide him\ her with a one-off compensation of up to USD $500 for changing flight ticket (the “Additional Flight Expenses”). The Additional Flight Expenses will be paid to 8 Team Winner account with the Site within 30 days of the WSOP 2019 ending after receiving a relevant receipt. We will not be responsible for arranging transportation from 8 Team Winner residence to the airport and from the airport to the hotel, nor any related parking expenses. Caesars Interactive Entertainment Inc. (“CIE”) and us will not be responsible for any tax liability associated with the 8 Team Package Prize. The 8 Team Winner is solely responsible for recording, paying and accounting to any relevant governmental, taxation or other authority for any tax or other levy that may be payable in relation to the benefits granted hereunder. 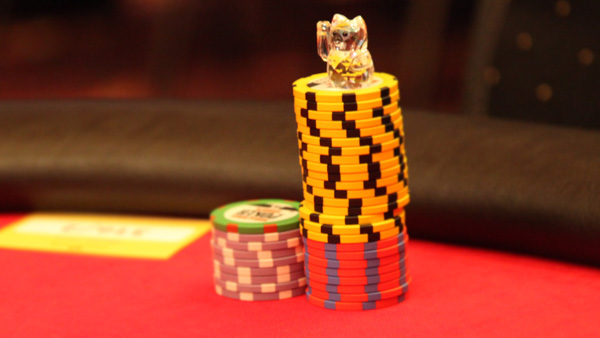 During the WSOP 2019, strict rules regarding player behavior will be enforced by the tournament organizers, which may result with disqualification. If you are penalized or disqualified at the WSOP 2019 as a result of an infraction of the rules set forth by the tournament organizers, we assume no responsibility or liability for your entry into the event and the monetary value of the 8 Team Prize Package will not be reimbursed. 8 TEAM WINNER MUST BE IN POSSESSION OF A VALID PASSPORT FOR AT LEAST SIX MONTHS BEYOND THE CONCLUSION OF THE WSOP 2019 AND SUCH PERSON IS SOLELY RESPONSIBLE FOR OBTAINING ANY VISA (IF REQUIRED) AND/OR ESTA (IF REQUIRED) TO TRAVEL TO LAS VEGAS. THE COMPANY ASSUMES NO RESPONSIBILITY FOR THE 8 TEAM WINNER BEING UNABLE TO TRAVEL DUE TO LACK OF APPROPRIATE TRAVEL DOCUMENTATION AND THE MONETARY VALUE OF THE 8 TEAM PRIZE PACKAGE WILL NOT BE REIMBURSED. The 8 Team Winner will be solely responsible for his/her travel arrangements to and from Las Vegas and shall be responsible for purchasing at his/her own expense his/her own travel insurance which includes but is not limited to medical insurance and lost luggage insurance. We are not responsible for any changing or changes to flights, accommodation and anything else relating to the itinerary after the 8 Team Winner has chosen his/her travel arrangements. In the event that 8 Team Winner does not attend the Promotional Activities for any reason whatsoever and the Company has paid him\ her the Travel Expenses, 8 Team Winner agrees that we may deduct from the real money funds in his\ her account with the Site the monetary amount of such expenses. In the event that the real money in the 8 Team Winner account does not cover such expenses, he\ she will reimburse us the difference within 14 days of our request. By participating in this 8 Team Promotion, each participant grants us and any third party vendors providing any services in connection with this 8 Team Promotion (including in relation to your travel to the Promotional Activities), the right to use his/her personal details in order to facilitate the activities undertaken by each of the parties under this 8 Team Promotion (including such travel to the Promotional Activities). If an 8 Team Winner account with the Site has been closed or self-excluded at any time, he/she will not be eligible to receive the 8 Team Prize Package or participate in the Promotional Activities. The 8 Team Winner may be required to complete and sign an insurance waiver and certain additional documents with any third party vendor providing services in relation to the activities undertaken by the Parties under this 8 Team Promotion, including the 8 Team Prize Package and attending the Promotional Activities or us prior to being allowed to attend the relevant activities including Promotional Activities or receive the relevant benefits granted hereunder (including applicable benefits comprising the 8 Team Prize Package). We reserve the right to cancel or withdraw the benefits granted hereunder (including the 8 Team Prize Package), without any further liability including monetary compensation, if the 8 Team Winner is under any investigation by government authority or his/her account with the Site is closed/blocked.